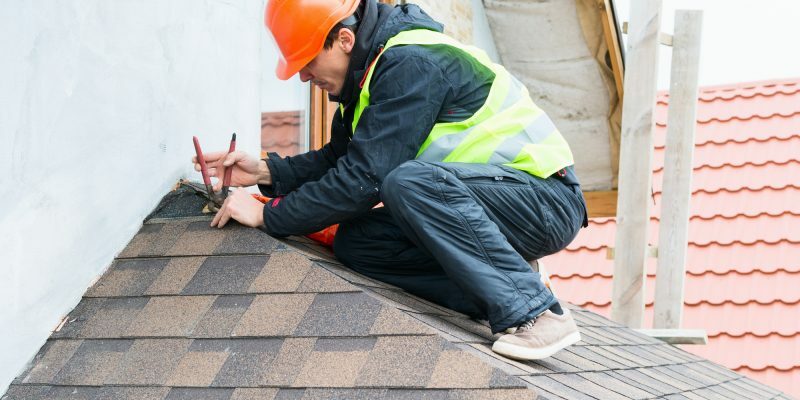 The benefits of preventative maintenance show up in different assets classes.But homeowners tend to adopt a reactive strategy to their roof maintenance. For businesses, investing in preventive maintenance saves them 12 to 18 percent compared to using reactive maintenance. Why do people delay roof maintenance? The reasons could range from not knowing what to hire to a lack of proactive approach to conservation. Delayed maintenance comes with high costs. Here is what’ll happen if you delay the maintenance of your roof. Yes, delaying your roof maintenance has implications. Usually negative. Delaying till the intrusion of water increases the damage to your roof is costly. You would end up incurring extra expense. Imagine a situation where a lack of maintenance results in loss of other things. It could destroy your insulation, wall, ceiling the electrical system. Get a calculator do the math, how much do you think that’ll cost? Of course, it varies with building type size. But wouldn’t you rather avoid unnecessary costs? Delaying preventative maintenance for your roof can cause a leaky roof. You probably know the risk this carries. Water trickles into your home through the damaged roof to compromise the structural integrity of your house. It would begin with short-term effects such as mold mildew. A couple of years later, it could make its way to drywall fatigue rotting structural wood. If you’re interested in saving energy, you might be using a light colored reflective, cool roof. This kind of roof makes a proactive maintenance compulsory. Think it. You benefit from this roof’s ability to reflect heat. But you wouldn’t care for it. Dirt soot eventually cover your roof makes it lose its reflective ability. What do you get from all that negligence? A boiling house. The situation gets direr if you have tenants. Not only would you be incurring the extra expense of fixing the damaged roof, but you would also be losing money as well. Your tenants would have to move out, causing you to lose rents. As mentioned earlier, your leaky roof can cause a damp environment. This leak can support the growth of mold mildew. Which means you could be breathing in air that isn’t healthy. The short outline above talks the consequences of not being proactive the maintenance of your roof. But, it’s not all negatives. There are some benefits to be enjoyed when you adopt a preventative approach towards maintaining your roof. When your roofing system is healthy, it lives up to its life. Your roof can be healthy only if it undergoes preventative measures. It includes regular inspection immediate repairs on a consistent basis. When you do this, it becomes easier for you to notice signs of damages address it. You would have prevented minor issues from developing into expensive nightmares. Please note that you are not supposed to wait for an apparent cause for concern. That’s a reactive approach which lures you into a false sense of security. Roof problems often start small. At this stage, they are undetectable by anyone but a professional. By the time you discover it, it would be a too late. Roofing projects often come with an interruption of your daily routine. You’ll put yourself in a stressful situation when there’s a significant leak, you have to move your things around. The longer it takes to repair your roof, the more stressed you get. You can avoid all that stress by scheduling a preventative maintenance. After all, it is easier to handle the minor issues than to do an emergency repair. It all gets down to how much you can save. Your warranties can help keep a lot of money if the defect has to do with manufacturing, craft or materials. However, it won’t cover you if you disregard preventive maintenance. Why is this? The answer is simple. Refusing to take a preventative approach to scheduling a routine maintenance can come off as inaction. This refusal, in turn, can cause your roofing manufacturer to read your inaction as negligence. As such, they may not honor your warranty. It implies that you would have to pay thousands of dollars from your pocket, and possibly at the worst times. Bottom line, you can keep your roofing warranty by doing a regular preventative maintenance. Preventive maintenance for your roof can be broken down into scheduled inspections and a periodic repair of roofing components such as drains and curbs. Roof maintenance is one of the most dangerous DIYs. As such, hire a professional. By checking your downspouts and pipes, you ensure that your drainage has freeflow. Remember to check for gaps, loose seals, and other signs of damages. Preventative maintenance for your roof protects you from losing money unnecessarily. And could even save your life! Scheduling a routine maintenance for your roof goes a long way to benefit you. Preventive maintenance is one sure way of getting ahead of the problem identified throughout this article. It saves you money, time, and reduces your stress. It doesn’t matter if you’re dealing with a commercial or residential roof, in the face of the overwhelming evidence we have, preventive maintenance is a no-brainer. Preventing water from leaking into your home, factory or office, due to a bad roof, maintains your building’s structural integrity. However, it is imperative for you to seek the of to handle this. You wouldn’t want to leave such important task in the hands of amateurs. Or join the 40 percent of homeowners who express dissatisfaction after carrying out a DIY project on their own. Talk to Davis Contracting. They’re that handle roofing such as, residential roofing, commercial roofing, roof repairs storm damage. You can them here. 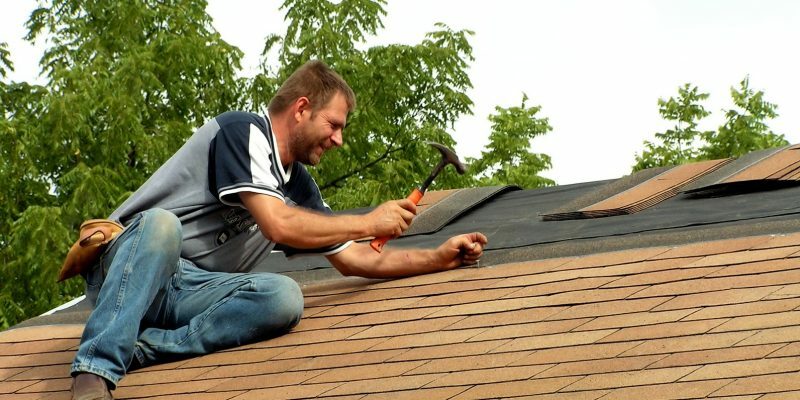 Whether you are suffering from damage need roof repair or replacement, or are looking to beautify your home or , there are important guidelines to follow. For homeowners, commercial building owners, property management, finding the best shingles can be stressful. There are many providers construction materials that aren’t necessarily the best choice. With architectural shingles, traditional 3-tab shingles, metal roofing available, it’s important to match your needs to the products. Follow these 7 guidelines you will have the best shingles for your needs. Different types of shingles offer different types of protection against the elements. The weather in South Carolina can be dynamic. You will need the best shingles to withstand hurricane force winds as well as high heat and humidity spikes. The best shingles are shingles that match the climate where your building is. Take a look at the shingles you are considering against the siding of your home or . While looking at different types online can spark ideas, you will need to see actual samples before making a final decision. Look at the shingle in both the sun the shade. Compare it in both environments against the building itself. Asphalt shingles are often used because they are less expensive. But they won’t necessarily offer the same boost to the curb appeal of your home in every . When choosing the best shingles it’s wise to compare the projected life against price benefit to your structure. A larger initial investment is likely to pay off with higher building values longer life. Before settling on any specific type of roof you need to take into account code restrictions. This is another reason it’s wise to employ a trusted local provider. When replacing their roof or performing repairs many home owners are already set on a color scheme. They aren’t aware that changing the color of their shingles can alter the aesthetic qualities of their building dramatically. You need to study your building as well as the surrounding elements. Warm tones are perfect for helping your home with a more classic casual feel. A more contemporary design might benefit from black, white, grey tones. This sense of tone can provide a dramatic effect. There are lighter shades. There are also ways to mix up color matching. Before picking a color it’s wise to explore different color options. The color of your shingles won’t just affect how your building looks. The color of your shingles will also affect the performance. While dark colored shingles are a great look, they also will absorb more heat. Lighter colors reflect it. For homes in humid climates, there are different considerations. The humidity can promote algae growth. In this case, homeowners or owners can consider algae-resistant shingles. Homeowners spend more than $327 billion a year on home renovations repairs. While these numbers continue to climb they don’t always get the best value for their investment. With roof repairs replacement, it’s just as important to combine the best shingles with the best installation. Unless installation is done properly you may void a warranty. Worse still, you may damage the product not get the full benefit of the new shingles you’ve purchased. As important as the shingles themselves is installing them properly. Professional installation won’t just help you get the most from your new shingles. Professional installation will likely save you money headaches in the long run. 40% of homeowners say they regret performing a DIY project on their own. Professional have the experience, tools, expertise to install your shingles correctly the first time. In addition to the benefits of the best installation, most home owners aren’t aware of the risks of performing the work themselves. Over 90,000 people land in the emergency room each year from ladder accidents alone. Add in issues with power tools and lifting injuries, and there are many safety risks to performing these tasks on your own. There is also a safety concern for your home and , as well as your personal belongings. Without professional installation, there can be severe safety issues to people possessions down the road. Whether you’re on the verge of selling your home or commercial property or not, a warranty can be your best friend. Without the right roof warranty, you won’t have the liability protection you need. Too many home and owners believe they are getting an iron-clad warranty with their shingles. Unfortunately, they don’t understand until it’s too late that there are a variety of warranty types for their shingles. You want to be covered for the shingles themselves as well as the installation. If the you choose installs them incorrectly breaks the product you may still have to pay for the repair. The best shingles will help you be covered for both materials installation. But make sure you understand the duration and coverage of both. Once you have a general idea of the shingles for your home or commercial property the only thing left to do is to find the best provider. Davis Contracting is the provider of choice for home owners. Our clients love our attention to quality . Just as important is the fact that we are licensed insured can offer our clients the best overall value. Too many home owners cut corners when it comes to their roof. The benefit of using Davis Contracting is that you get the best from the start. Let us help you pick out the best shingles install them professionally for you. Don’t wait to get the help support you need. If you need residential roofing help, contact Davis Contracting today. In spite of fluctuations in the housing market over the past few decades, most economists maintain that owning a home is the most important way to build wealth. Homeownership brings many benefits, such as the ability to build equity and reap tax breaks. But, it also brings new responsibilities. Rather than calling the landlord, the homeowner must replace the old AC or repair the leaky roof themselves. A roof can last anywhere from 10 to 50 years, depending on what material it is made from, and how well it is maintained. If you’re wondering whether you have a leaky roof that needs replacing, here are 10 signs to look for. If you’re setting up a bucket in the kitchen to collect rainwater, then your roof has already been leaking for a long time. This leaking can lead to damage to your attic, ceiling, and rafters. It can also cause mold and mildew to grow, which can cause health problems. So, while water dripping from the ceiling is a clear sign of a leaky roof, you should not wait until then to identify a leak. Rather, you should keep your eyes peeled for earlier warning signs. Before water starts dripping from your ceiling, it will be absorbed into it. Absorbing significant amounts of water will lead to discoloration of your ceiling. To see if there are water spots on your ceiling, take a flashlight and examine it closely. The water damage will look similar to coffee stains. When checking for water spots, do not forget to check inside of closets, or in the basement. Also, always check the ceiling above tubs or appliances, as there are often pipes running there that go up to the roof. If leaking continues, it can move from affecting the ceiling to affecting the drywall in your home. This can threaten the structural integrity of your walls. Check the seams between the walls and your ceiling to look for signs of warping. You may even see sections that are beginning to crumble into pieces or dust. In severe cases, full sections of drywall can even collapse. Additionally, if you have wood beams contributing to the structure of your home, you may notice damage to these. Water damage can cause the wooden beams, studs, and joists to rot. If this damage persists, the wood will need to be replaced. When water leaks into your home, it can become trapped in confined spaces. As the water builds up, it creates humidity. In this environment, mold and mildew begin to grow. If mold is growing in your home, it can cause respiratory problems for you and your family. To check for mold, look for black or dark patches that resemble a stain. Make sure to check damp areas like the attic or the basement to make sure that mold is not there. If leaking persists for long enough, it can lead to damage to your home’s electrical system. Depending on the location of the leak, the water might affect the wires themselves or your electrical circuit box. Most of your home’s wires are made of copper, and water degrades copper over time. If this damage persists, this can cause wires to break or short out. If the leaking water affects your home’s breaker box, this can throw off the electrical system for your entire home. If you have any reason to believe your roof may have been damaged, this is a sign that you should check for a potential leaky roof. Storm damage can cause projectiles that dent your roof or can produce powerful winds that tear off shingles. If your area has been affected by a serious storm, you should inspect your roof afterward to ensure that there is no damage. Whenever you inspect your roof, it is always important to pay attention to the shingles. The most common type of shingles in the United States is asphalt. These are designed to direct rainwater away from your roof and to protect from wind damage. Over time, however, exposure to the elements will cause your shingles to wear away. The shingles at the edge of the roof are often the first to experience damage. Watch to see if your shingles are curling, chipped, or broken. In some cases, a section of your roof may even be missing several shingles. Most homes include pipes that run all the way up to the roof. If the pipes penetrate through the roof, this can lead to leaks and other problems. To prevent damage from the elements, most pipes are fitted with coverings called pipe boots. These are usually made of rubber or lead and can last for 7-10 years. If you notice damage to one of these boots, you will need to have it replaced to avoid a leaky roof. Before water starts dripping from your ceiling, it collects on your roof. When you get up on your roof, look for places where water is collecting into puddles. This can be a sign that your roof is not effectively directing rainwater into gutters and off of the roof. If you see puddles on your roof, you should contact a professional to find out what is causing the problem. Brick chimneys are covered with what is called metal “flashing.” This material ensures that water will not run down the chimney and into your home. Caulking or tarring a chimney is not a viable alternative to proper flashing. Check the seals to make sure they are flush with the chimney. If they are not, they will need to be resealed to prevent leaking. If you have noticed one or more of these signs of a leaky roof, it may be time to call a professional. Trying to patch the problem yourself can lead to further damage and even more headaches. To get a free roof inspection or estimate, contact us. We will help you determine if it is time to replace your roof! 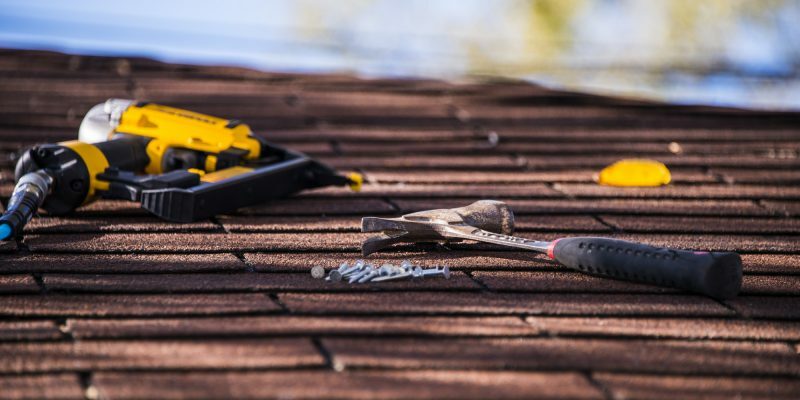 Attempting to repair or replace your roof yourself is a treacherous job if you’re not a trained professional — not to mention quite the dangerous task to take on. Just because there’s a YouTube video for every at-home task you could imagine, doesn’t mean you should attempt every single one. Especially the large projects. Sure, there are plenty of DIY jobs you can complete at home, but roofing shouldn’t be one of them if you’re not familiar with residential roofing. Roofing requires a certain skill-set. Your home is generally the biggest purchase you’ll make in your lifetime, so why play around risk damaging your home or harming yourself? It’s no easy feat to repair a roof, so usually, it’s best to leave the work to the . Today we’re taking a deep dive into the 7 benefits to hiring a residential roofing company. Is doing your own roof worth your life? Contacting a residential roofing contractor is a smart choice for numerous reasons, but your safety is the most vital. A study on construction-related deaths reveals that falling from roofs make up 1/3 of all fall-related deaths in the construction field. The are better equipped to deal with these situations. Although falls related to roofing jobs are the largest cause of fatalities — getting electrocuted, burns, other injuries are common as well. This just goes to show you how dangerous roofing projects can be. this risk doubles, if not triples when you try to do it yourself. Perhaps the most obvious perk to having professional residential roofing experts help you out is the amount of time you’ll save not having to endure the project yourself. But you may not realize how long it can take to complete roofing repairs or a complete roof or shingle replacement if you don’t have expertise in that area. For trained roofing specialists, they’re trained to be efficient get the job done in a timely manner. But, if you try to do the repairs yourself DIY-style it goes array, you’ll end up having no choice but to a residential roofing contractor — which will take double the time it could have. It’s said that roofing is one of the jobs you shouldn’t ever attempt at home. there’s very good reason for this. Let’s face it: you’re no expert at roofing. you shouldn’t try to be to impress the wife or do it yourself just to save a few bucks. Especially when doing so almost always causes further damage. If you spent a few weeks going through every DIY book video attempting to repair the roof yourself, but then something goes array — you’re left in a serious bind. You’ll then have no choice but to call in the professional roofing contractors. At which time, you may have caused further damage, which will cost you more money than it would have if you called in the beginning. You may be thinking: how is paying for a residential roofing contractor going to be cost-effective or save me any money? First of all, you may purchase the wrong materials, costly materials that may or may not be the correct ones. Second of all, if it’s done properly the first time, you’ll save yourself loads of money in the long run. Many roofing contractors actually get competitive affordable prices on their materials, which lowers your overall cost of the entire project. Plus, if you purchase all of the materials without the wholesale prices that roofers have access too, plus all the tools equipment you’d have to buy to do the job, you’re looking at a pricey DIY job. Not only are roofing contractors licensed trained before they go out on a job, they have extensive experience knowledge. They’re trained for every aspect of the job, making them the best people for large dangerous home repair work like residential roofing. Roofers have one of the most dangerous jobs in the construction industry, but yet they keep going. If roofers have this much danger in their jobs, can you imagine the type of danger your average-joe would face? Because trained know what to look for, they’re more likely to pick up on problems that you might not have seen or even heard of. Your roof is the very center of your home, so if something goes wrong with the roof, it can cause serious implications for the rest of your home. Wouldn’t you rather a professional find any issues repair them, before they turn into a massive problem? We have in different industries for a reason — they are experts in what they do, so we should allow them to do the job they’re trained to do. When you try DIY any type of project, let alone a major project smack dab on the top of your bigger prized possession, it’s going to take some time. Any reputable roofing contractor company will give you an idea of how long it’ll take to complete your job before they begin. But if you hire a decent company, they should be efficient able to complete it in a timely manner. Not to say it will be finished in a , it all depends on your specific roof what kind of damage or repairs they’re looking at, but it certainly will take a fraction of the amount of time it’ll take you to complete the entire job. No matter how you slice it, residential roofing contractors are experts in their field should be contacted for any roofing repair or replacement. Jeopardizing your safety is just plain silly when there are experts willing ready to take the risks for you. Not only is it perilous to attempt such a job on your own, you’ll actually save money, time, your sanity by investing in a high-quality repair. But, you don’t want just any roofer. 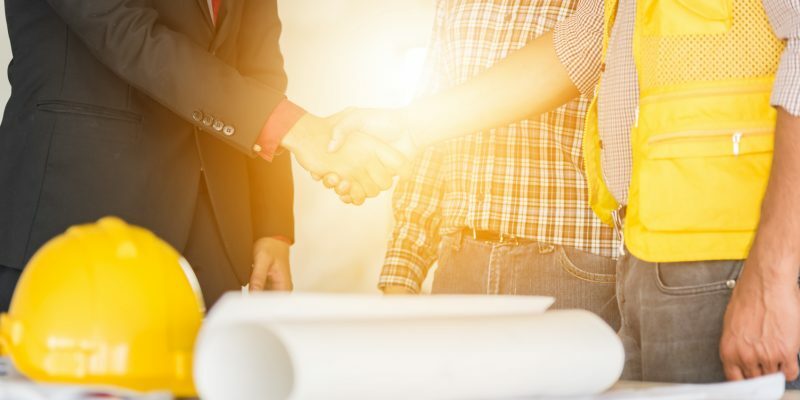 You should always ensure to do your research to find a reputable roofing contractor so you don’t end up with an unreliable roofer, or even worse — a scam artist. If you’re in need of a roof repair or storm damage assistance, don’t hesitate to contact Davis Contracting with any questions you may have or to receive a free estimate. Taking on a roof replacement is a hefty task. There are so many options to choose from when it comes to design function. That’s because your roof has a lot of impact on the curb appeal of your home. When replacing your roof, you must decide on a material based on its visual appeal, functionality, durability, cost. This go-to guide will help you navigate that decision with ease. Let’s dive into the 5 most common types of roofing shingles you can choose from for your roof replacement. Asphalt shingles are arguably the most widely used roofing material out there. They are relatively cheap have a life expectancy of 20 to 50 years. Asphalt shingles are also easy to install, so they help keep your labor costs down in addition to material costs. They come in a variety of colors, designs, shapes, are compliant with Energy Star standards. This means you can get a cool roof rebate. Eco-minded consumers will also be happy to know that asphalt shingles can be recycled. Asphalt shingles don’t stand up to drastic weather changes well. They can handle consistently cold or consistently hot, but fast changes between extremes will cause the shingles to crack and decay. Extreme weather conditions such as hail or high winds will likely damage asphalt shingles as well. So, if you live in an area prone to extreme weather, be sure to opt for extra thick asphalt shingles, or you may want to choose another more durable alternative. Wood shingles have mostly been replaced cheaper asphalt. However, some homeowners still prefer their aesthetic appeal. Wood shingles look unique and achieve an old world quality perfect for the aesthetic of some homes. They are (obviously) made of organic materials, and are therefore eco-friendly. Additionally, they provide energy efficiency that can save you in heating and cooling costs. If you live in an area with frequent storms, good news. When it comes to hail and high winds, they are very durable. Wood shingles are vulnerable to fire, rot, mold, and termites. They are also costly and difficult to install. They require a good bit of maintenance, which may not be something you have time for as a homeowner. Metal roofing is a great option for homes with a steep pitch or no pitch at all. It can also be very long-lasting, and it’s perfect for rough weather conditions such as areas that get a lot of snowfall. Well-designed metal roofs with cooling elements can also qualify you for an Energy Star rebate. Plus, metal roofing is lightweight, durable — it’s fire, water, and rot-resistant. In some cases, metal roofing can be applied over existing roofing, saving you the removal labor cost. Lastly, metal roofs come in many styles, accommodating nearly any architectural design. Metal roofing is usually more expensive than the alternatives. It can also be noisy, since there is no “give” to absorb the sound of falling items such as acorns, branches, and rain. Metal roofing is susceptible to rust and may require repair. Luckily, this type of repair is usually covered under warranty. Ceramic tiles are expensive. However, they have a certain Mediterranean/Spanish appeal that is hard to recreate with other materials. Tile shingles are extremely durable under a variety of weather conditions. When installed correctly, they can last up to 80 years. You can achieve a unique, decorative effect with the layering of ceramic tiles. They are fire, insect, and rot-resistant, in addition to being recyclable and eco-friendly. The installation of a ceramic tile roof is complicated, and requires a specific expertise. Ceramic tiles are heavy, meaning that not every home can support their weight. Slate is a natural rock that is one of the most long-lasting roofing options on the market, albeit an expensive one. Slate tiles last 80-100 years. They are also unique and expensive looking. Finally, slate is great in snowy or rainy environments because of its low water absorption rate of 0.4%. Slate is costly both in material and labor. These roofs are also very heavy, and will only work on houses with the foundation to support it. It’s no secret that a roof replacement can be costly. The cost varies greatly based on the size of your home, the pitch (slope), removal costs, damage repair, material costs, labor costs, etc. For a deeper dive into how to estimate the cost of your roof replacement, check out this post. With all that in mind, let’s focus on its monetary upsides for a moment. Did you know that a new roof can help bump up your resale value by an average of $12,000? That’s a good chunk of change. High-quality materials, the size of your roof, and additional benefits such as cooling features can bump that up even more. Speaking of cooling features, your new roof can save you money in more ways than just resale value. Certain types of roofing shingles can shift the temperature of your house. This can save you hundreds annual on cooling heating costs. So, when you’re choosing your roof, prioritize first by durability requirements based on weather, then by style, lastly by cost. This will help you settle on a roof you that protects you, appeals to your aesthetic, fits your budget. As far as style, consider the colors materials that you like. Do they go with the color style of your home exterior? Gray brown tones match the majority of exteriors. However, lighter-colored tiles offer energy saving heat reflection. Also, decide if you want the roof replacement to make your house blend in or stand out. Do you want to embrace the architectural style of your home? Perhaps you want to modernize it? With this criteria, you’ll be well equipped to pick out a roof replacement that you’ll love. We hope you found this roof replacement guide helpful! Questions? Don’t hesitate to us at Davis Contracting for all of your roofing, siding, window needs. So, you’re thinking getting your roof replaced, but you have no clue how much money you need to budget. If you’re scratching your head researching price estimates, don’t worry. Roof replacement costs can vary greatly, the price you pay is determined by a of different factors. However, it is important to have an estimate before your sign on. For one, you’ll want to know how much money you need to budget for the project. Also, you’ll want to be able to compare estimates from different companies. That way, you’ll be able to tell if a company is charging too much trying to rip you off or if they’re charging too low are possibly running some sort of a scam. Luckily, figuring out the cost of a new roof isn’t as hard as you may think. You just need to know what factors to take into consideration. Keep reading to find out what these are. If you live in the South you’re talking to your friend in New York who just got their roof replaced, you’re probably not getting the best estimate. This is because the cost of a new roof is largely affected by your geographical . Those living in the deep South (think Georgia, Alabama, South Carolina, Louisiana) are going to pay a significantly lower fee than those living in the Northeast states. If anything, talk to friends in your state who’ve had their roof replaced to get a better idea of what you’ll end up paying. Above everything else, the size of the roof is the largest cost factor. Obviously, the bigger the roof, the more you’ll pay. But if you don’t know the exact size of your roof offhand, don’t worry. It’s pretty easy to figure out and you don’t have to climb on top of your roof with a tape measure. 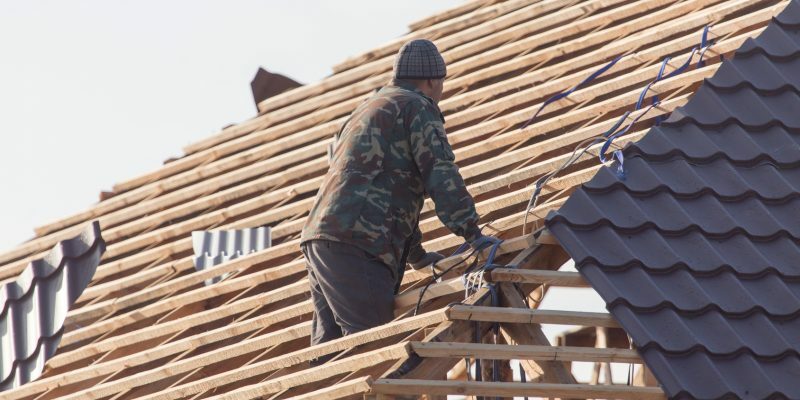 First, you need to understand how roofers set their prices. They charge per roofing square. An area that is 10 by 10 feet (or 100 square feet) is the equivalent of one roofing square. For example, the average home is around 30 squares, meaning its roof is 3,000 square feet. Now, we promised you wouldn’t have to climb your roof with a tape measure, but you will need one to figure out its size. You will use a tape measure to figure out the length and width of the inside of your home. If your home is irregularly shaped, you can divide it into sections, find the area of each, and then add them together. Once you know the area of your home, you’ll need to figure out the pitch. We’ll talk that in the next section. Pitch is another word for slope, it’s another very important variable that can affect the cost of your roof. In order to measure the pitch, you’ll need to head up to your attic. Place the end of a ruler against the bottom of a roof rafter (also known as a roof beam), holding it at a perfectly horizontal level. Now, move a finger to the 12-inch mark. Measure vertically from this mark straight up to the underside of the rafter. That will tell you the length the roof rises for every 12 inches it runs horizontally. why is this important? Well, if the is 7 or greater, it means you have a high pitch/slope. This means that the roof isn’t walkable that you’ll have to pay more, as extra safety equipment harnesses will be required. Some roofing contractors will charge extra at starting at a 6:12 ratio, so be sure to talk to your contractor their cut off. The kind of material you choose will also greatly influence the cost of a new roof. Asphalt Shingles: The most common type of roofing material in America are asphalt shingles. Asphalt shingles are very cost-effective. They are also light very easy to install for the average home handyman. Asphalt usually costs $120-$400 per 100 square feet. Wood Shake: Wood shake is a beautiful option, but also much more expensive than asphalt and is very high-maintenance. This is because it deteriorates fast, is prone to fire, and is susceptible to insects and mold. However, if you can afford it and can keep up with the maintenance, its looks are hard to beat. Wood shake roofs typically cost anywhere from $7,000 to $20,000 in total. Metal: If you’re intending to live in your current home for a long period of time, a metal roof is the way to go. They are hands down the most durable material available. Metal usually costs $500-$1800 per 100 square feet. Steel will be the cheapest, aluminum the next cheapest, and copper the most expensive. Tile: Many people choose tile because it is easily replaced if damaged. Also, you have the option with tile to choose your own shape and color. Tile prices range from $600- $4,000 per 100 square feet. You can expect to pay more if you choose to customize or if you opt for ceramic tiles. Slate: Slate is a great option for those looking for something very long-lasting with a slightly more appealing look than metal. Slate costs an average of $800- $4,000 per 100 square feet. , size, pitch, materials are the biggest factors you need to take into consideration when estimating the cost of a new roof. Once you have an idea of what you’re willing to spend, you’ll definitely want an estimate from the roofing company as well. Davis Construction is a licensed insured roofing company in Greenville SC that offers free estimates. Just fill out our form we’ll get back to you with an estimate in no time.